Aryeh Deri explains opposition to joint run with UTJ, saying joint bid would drive away voters who traditional but not strictly observant. Shas chief and Interior Minister Aryeh Deri doubled-down Monday on his refusal to form a united haredi list for the 21st Knesset, saying that an alliance between his Shas party and the United Torah Judaism party would drive away many of Shas’ voters. With Shas struggling to clear the electoral threshold in some recent polls, coalition leaders, including Binyamin Netanyahu, have suggested Shas run on a joint list with the United Torah Judaism party, ensuring the Shas clears the 3.25% threshold. While the two parties both represent the haredi sector, Shas’ voters come largely from the Sephardic community, while UTJ’s are primarily Ashkenazi. Unlike UTJ, Shas also benefits from a relatively large base of support among traditional but not strictly observant Sephardic Israelis. Speaking at the 16th annual Jerusalem Conference, Deri expressed concern that should the two parties run together, these traditional Sephardic voters would be put off by Shas’ union with UTJ. 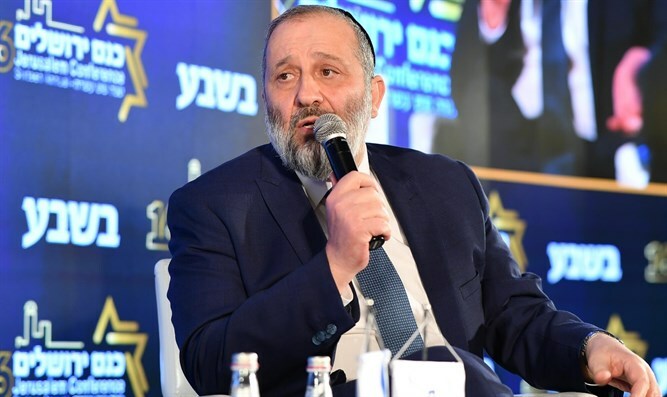 During his address at the Jerusalem Conference, Deri renewed his support for Prime Minister Binyamin Netanyahu, whom he said he would endorse for a fifth term as premier following the April 9th election.